AMMAN-Arab News- The Jordanian government has taken steps to ease the plight of Palestinians living in the country and to bolster the civil defense guards at Al-Aqsa Mosque. 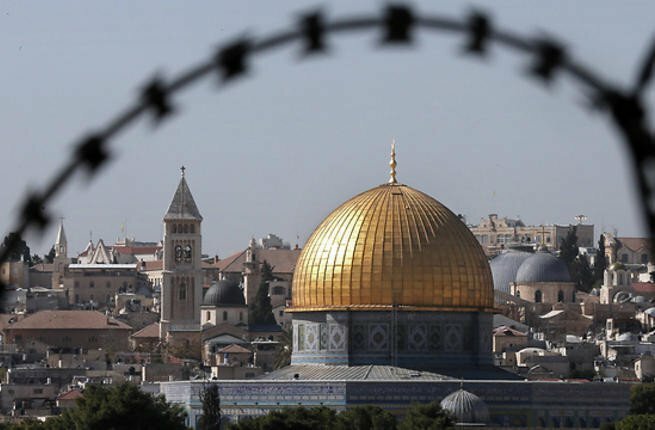 Wasfi Kilani, director of the Hashemite Fund for Al-Aqsa Mosque, told Arab News that the actions come as part of a combined effort to support Jerusalemites. “With instructions from His Majesty, we have endeavored to provide administrative support to Jerusalemites by reducing passport fees by a third, and by increasing the number of guards and administrators of the Jordanian waqf in Al-Aqsa Mosque to 1,000,” Kilani said. Fawaz Shahwan, head of Jordan’s Passport Department, told Arab News that the Cabinet has accepted recommendations to reduce passport fees and allow Jerusalem’s Palestinians to renew their passports without the burden of travel to Amman. “Now a Palestinian in Jerusalem can go the nearest Jordanian waqf office to apply and the approved passport will be delivered to his or her East Jerusalem home,” he said. Shahwan confirmed that the passport fees have been reduced from 200 Jordanian dinars ($280) to JD50, the same fee paid by Jordanians. In another step to bring Jordanians and Palestinians closer, the Jordanian army’s chief of staff, Lt. Gen. Mohammed Freihat, launched a program funding and coordinating the travel of about 24 Jordanian military officers and their families to Christian holy places in Palestine. Gen. Emad Haddad led a delegation of Christian army officers to Bethlehem, Nazareth and Jerusalem. Haddad told Arab News that the three-day visit and was made in parallel with the participation of Muslim officers in the annual Hajj pilgrimage to the Saudi holy places. “Our visit was unique and emotional. People were moved by this positive initiative that showed equality in the Jordanian armed forces and contributed to Palestinian-Jordanian brotherly relations,” he said. Jerusalemites interviewed by Arab News welcomed the moves, saying they would contribute to the steadfastness of the people of the holy city. Khaleel Assali, editor of the Jerusalem-based website Akhbar El-Balad, told Arab News that the actions of the Jordanian government will strengthen the morale of Palestinians. “With so many placing Jerusalem’s Palestinians under siege, it is a scent of fresh air coming from the East that gives people hope,” he said.